At this years gala dinner, John Anderson, President of JCA Electronics accepted the award on behalf of the company. Excerpts of his acceptance speech are included below. So how does a Winnipeg manufacturing company with humble beginnings become a serious technology partner in autonomous farming, and have a realistic opportunity to be a global leader in this space? Well, first and foremost, it takes the right team, continuously evolving expertise in diverse applications, and very private partnerships with strong equipment manufacturing companies wishing to lead in this area. It takes a firm with a clear purpose and passion to help; agile processes; and the tenacity to execute effectively. These are all characteristics of JCA that we have been working really hard at for 17 years! “Connecting the DOTs”, as John Chambers describes it in his book of the same name, is the ability to identify disruptive technologies and understand how they are going to impact our world well before they do, such that you can seize incredible opportunities if you get it right. The smart phone was one of those technologies. JCA recognized years ago that this device was to become not only an incredible communication interface to your friends and colleagues, but that it could integrate into the job site as well. Using this foresight we created our electronic controller products that all communicate wirelessly with these smart devices. We are now working with an incredibly talented group of OEMs who are hungry to harness other technologies like vision systems, machine learning, robotics and the internet of things to help improve their equipment and their customer relationships. As a manufacturing and technology company that is focused on efficiency and capitalizing on these disruptive technologies, JCA depends not only on our customers, but our suppliers, and our community. It’s a symbiosis, working to the advantage of all. The diversity and strength of Manitoba’s ecosystem is a tremendous help in this regard, and we look forward to many of the organizations and individuals in this room becoming an even more important part of our Future! But we must all remember that the world is advancing and integrating rapidly and any advantage that we may have here on the prairies could be negated. We need to have a sense of urgency on this journey. 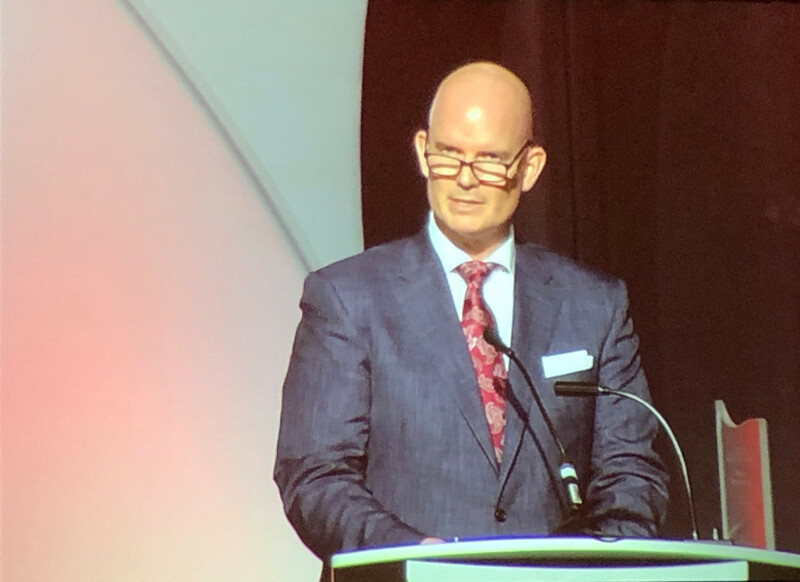 I am honored to be up here tonight amongst incredibly meaningful Manitoba firms and individuals, and on behalf of all of our employees at JCA I thank CME for this recognition. 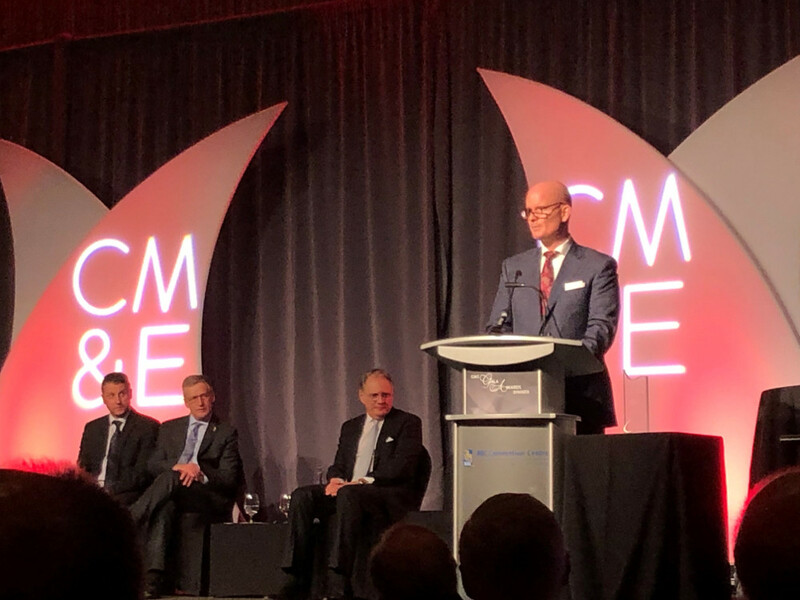 From the first industrial boom in Canada, Canadian Manufacturers & Exporters (CME) has been advocating for and representing member interests. Nearly 150 years strong, we have earned an extensive and effective track record of working for and with 2,500 leading manufacturers from coast to coast to help their businesses grow. 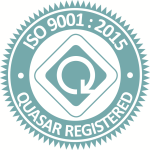 Our success comes from integrating the association with industry, being run by manufacturers for manufacturers. Led by a national board of directors made up of senior leaders from a diverse group of Canadian manufacturers of all sizes, we have our finger on the pulse of the sector. Overcoming your challenges and maximizing opportunities are at the forefront of everything we do. CME has member-driven programs and services to help you work on your business. We partner with you to strengthen your competitive advantage by building your knowledge and capacity in key areas, like LEAN and productivity; trade and export; energy and environment; leadership development; safety and more. As your advocate, CME has the ear of all levels of government in Canada and in key markets around the world. We actively work to influence and recommend effective policies that will allow manufacturers to compete at home and abroad. CME works wherever you are – with regional chapters in every province, championed by local manufacturers just like you. This multi-pronged approach has provided us with the credibility to confidently speak as the voice of manufacturing in Canada.